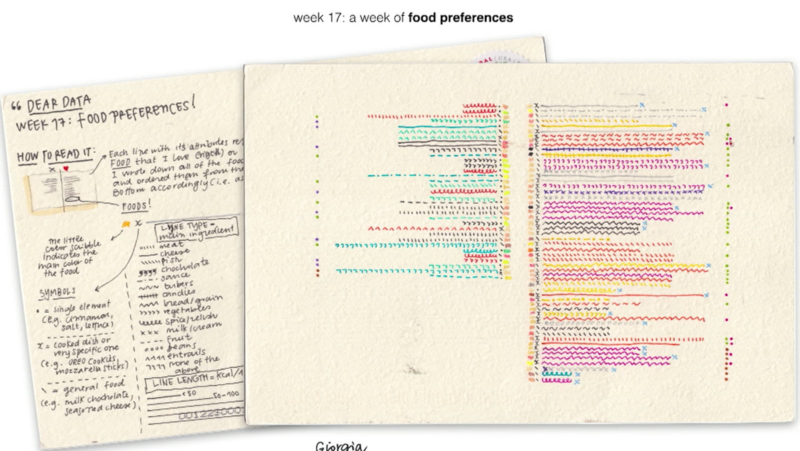 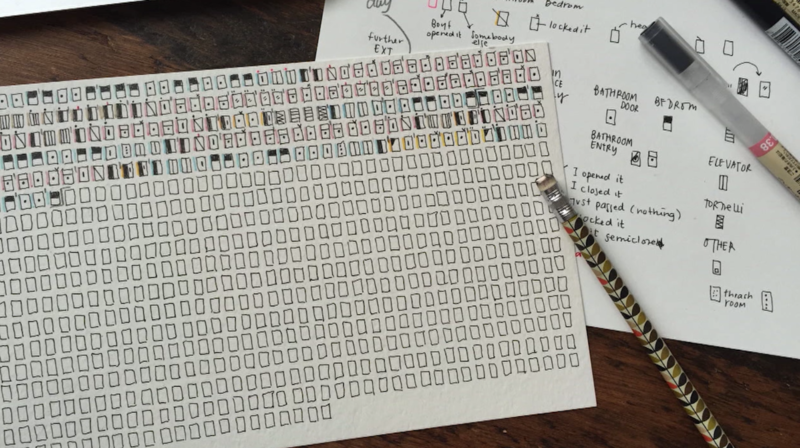 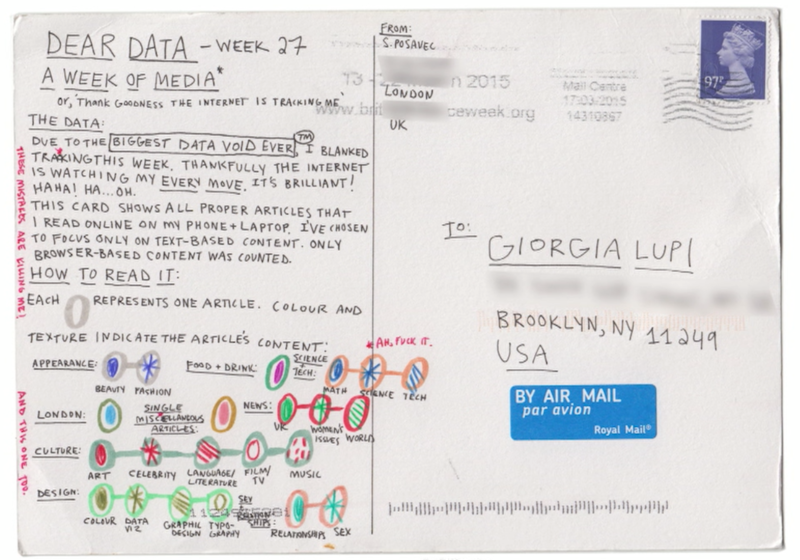 Dear Data is a project that marries pen-pal tradition with a modern focus on data collection and recording, using hand-drawn infographic postcards to communicate. 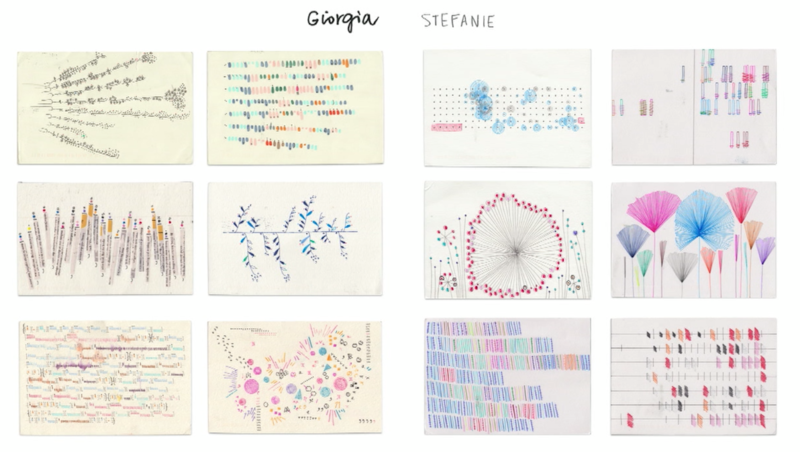 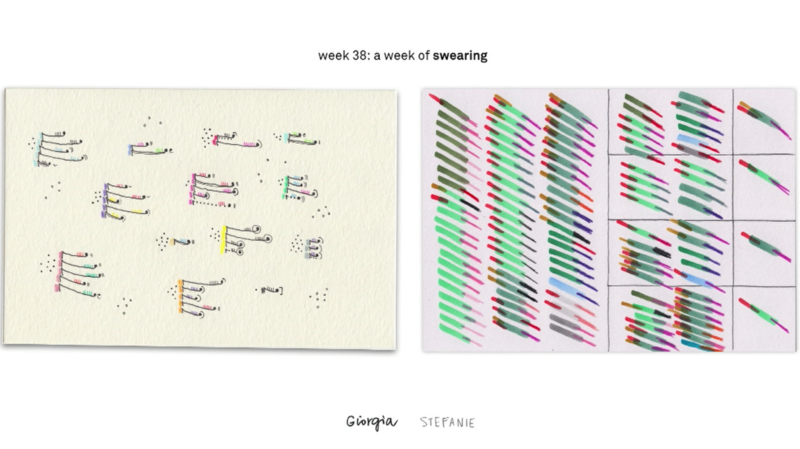 52 postcards were drawn over the course of the year-long project, presented in a new book alongside the designers’ observations and learnings about data-drawing. 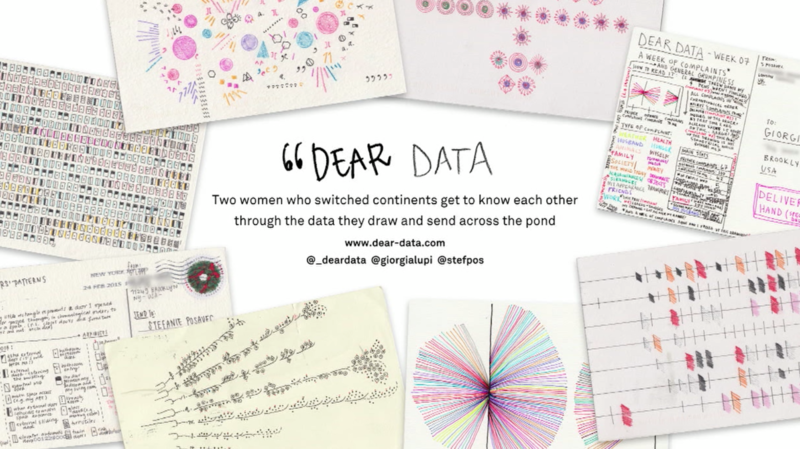 The Dear Data project has been awarded two Kantar Information is Beautiful Awards, and was exhibited as part of Somerset House’s Big Bang Data exhibition. 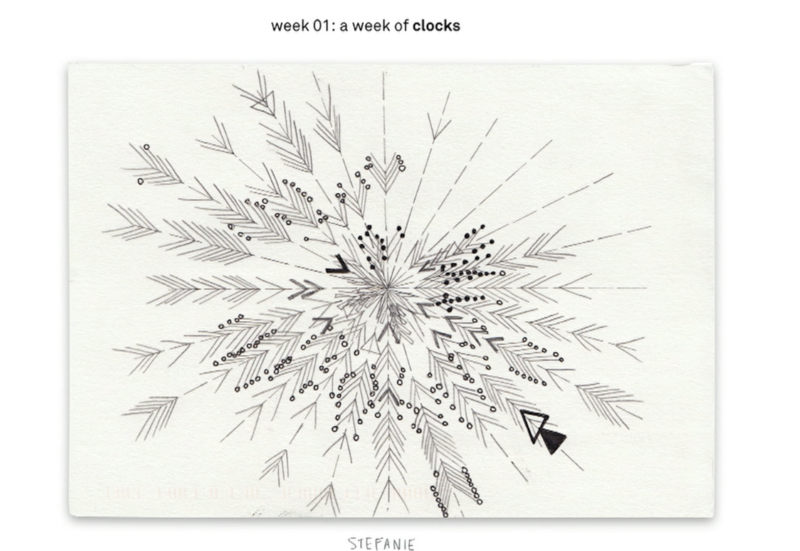 It is on show at London’s Science Museum until July 2017.